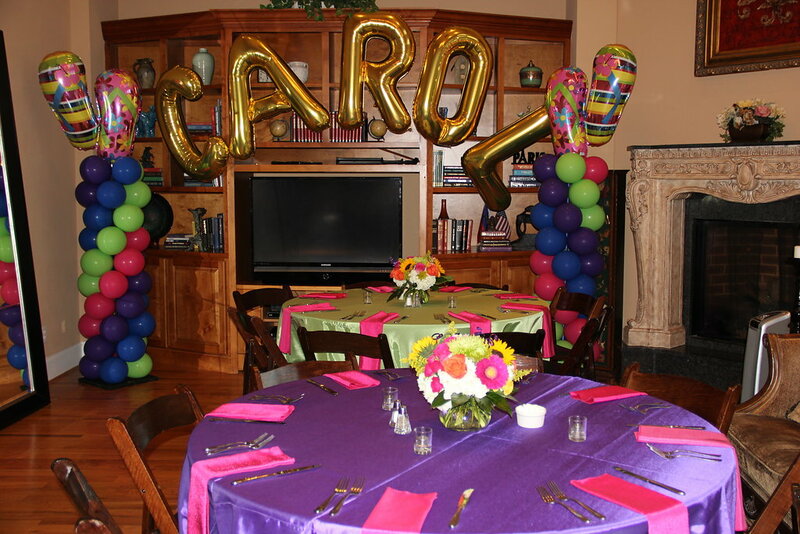 Birthday parties are always so much fun to plan! 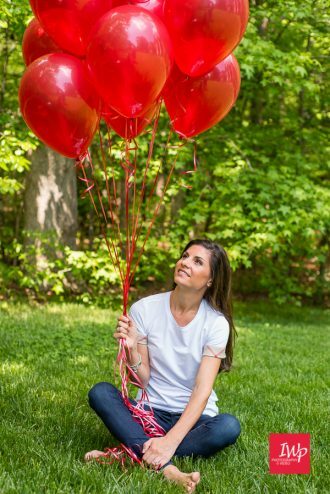 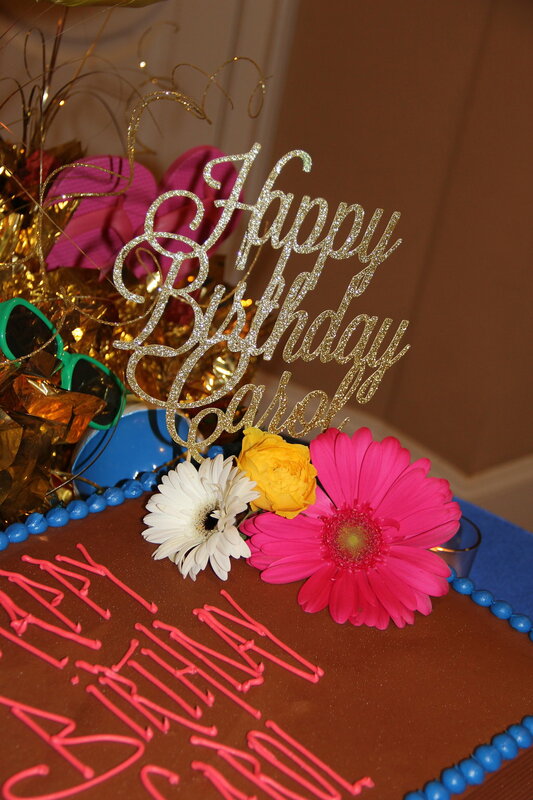 We love getting to celebrate another year of life! 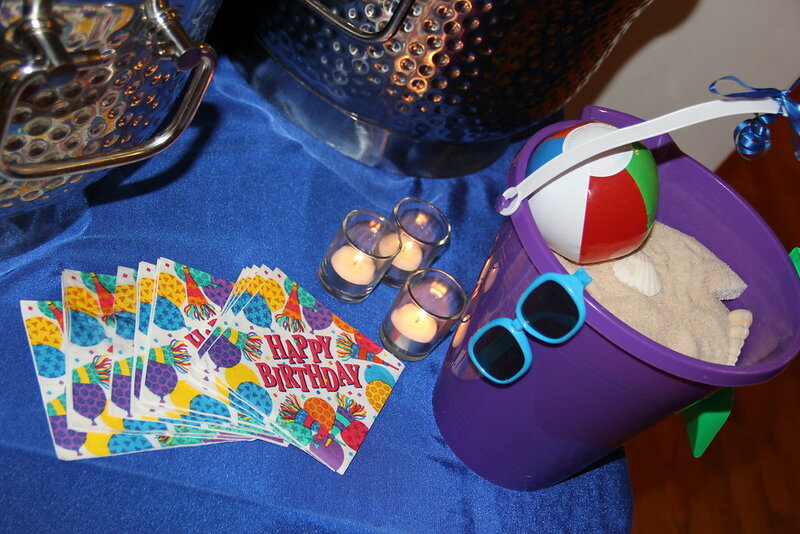 Carol celebrated her 80th birthday with a beach theme with her whole family. 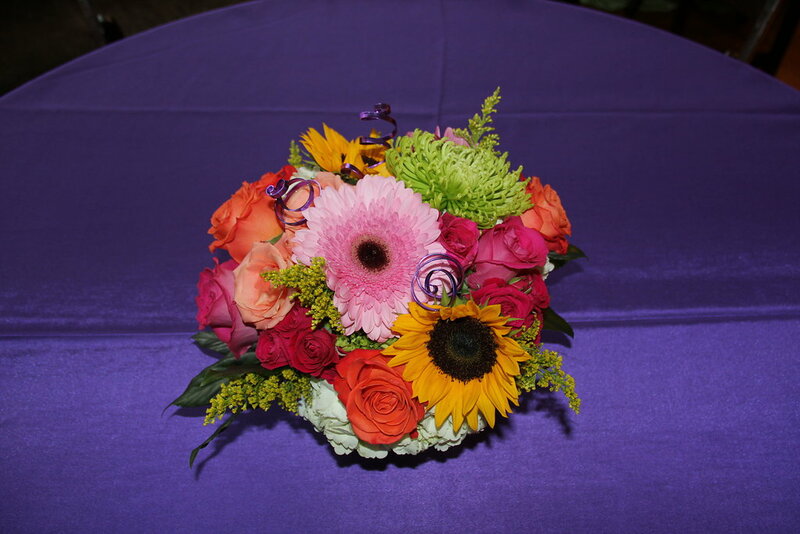 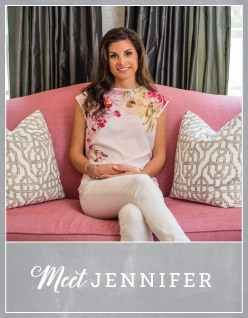 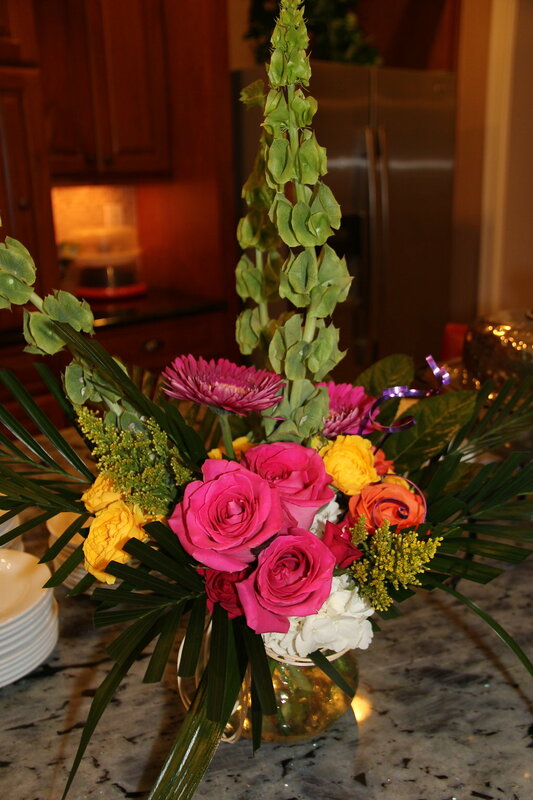 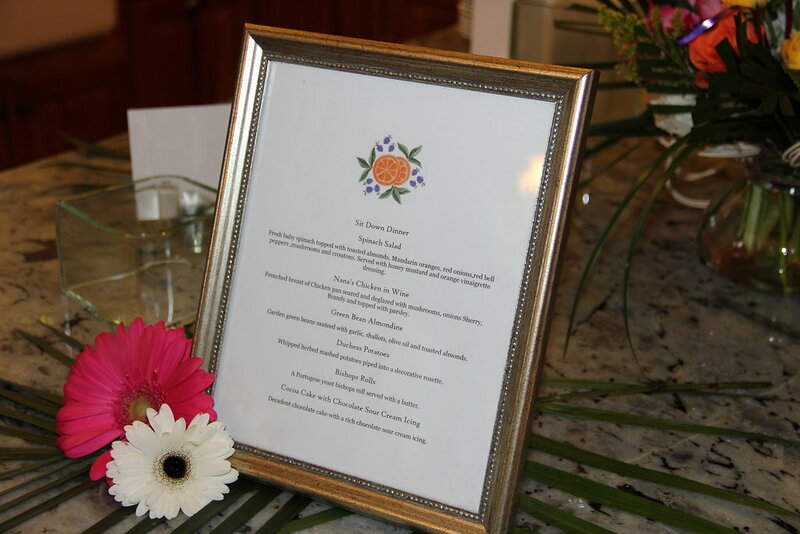 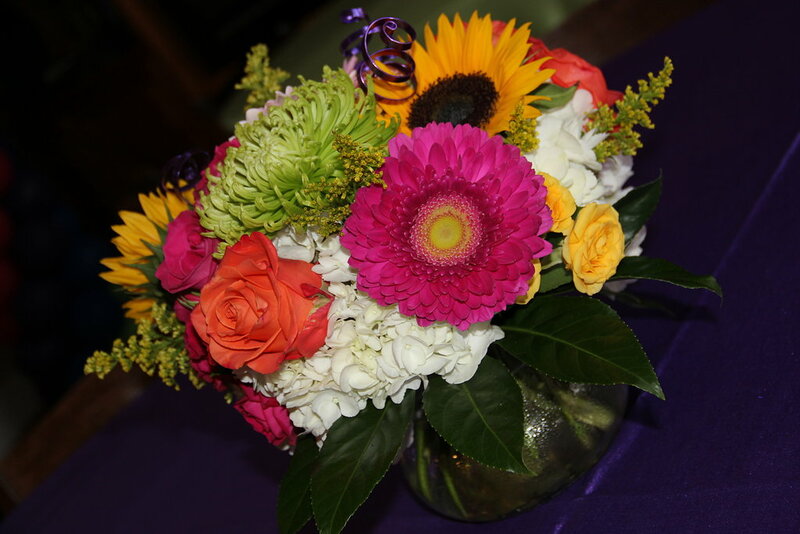 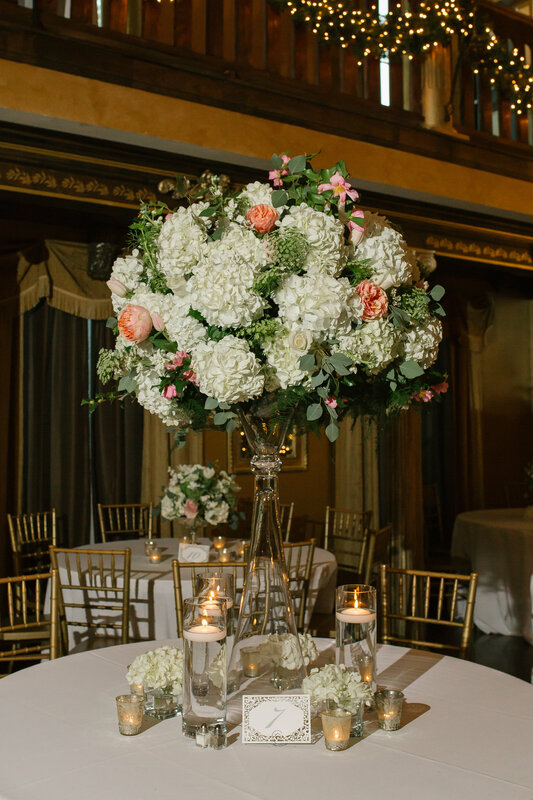 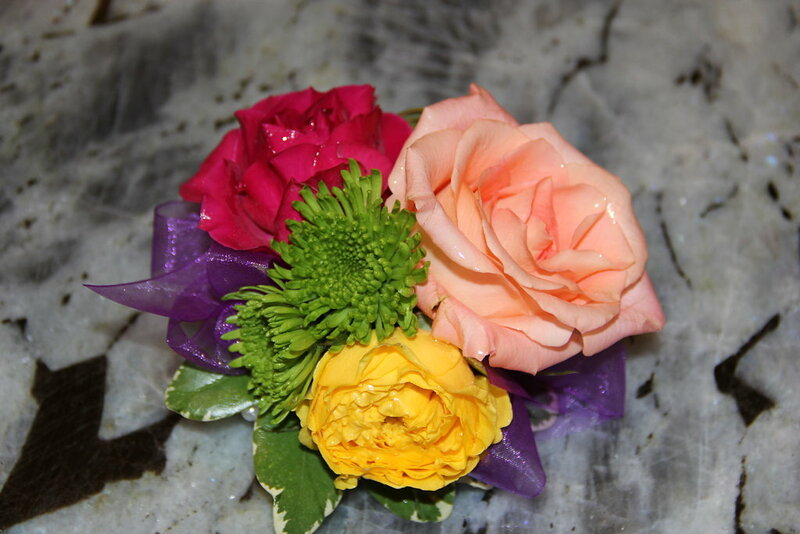 The flowers were full of color that matched the vibrant linens! 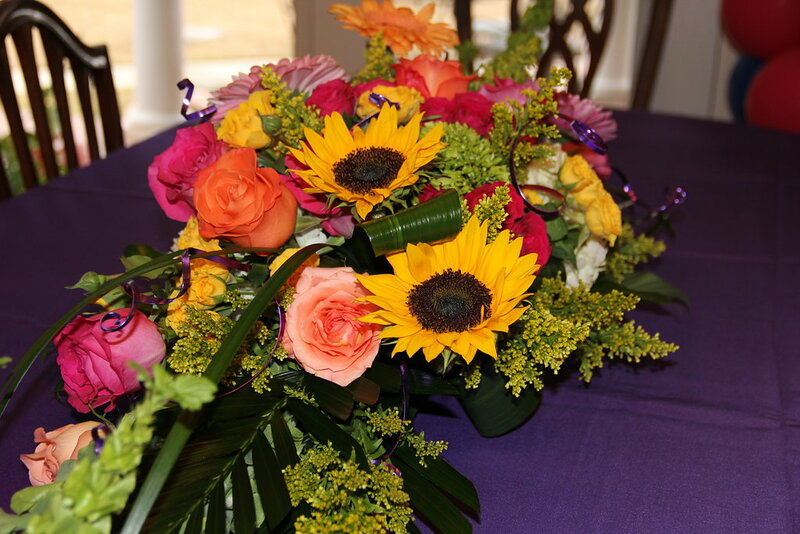 It was a very special evening for a very special lady! 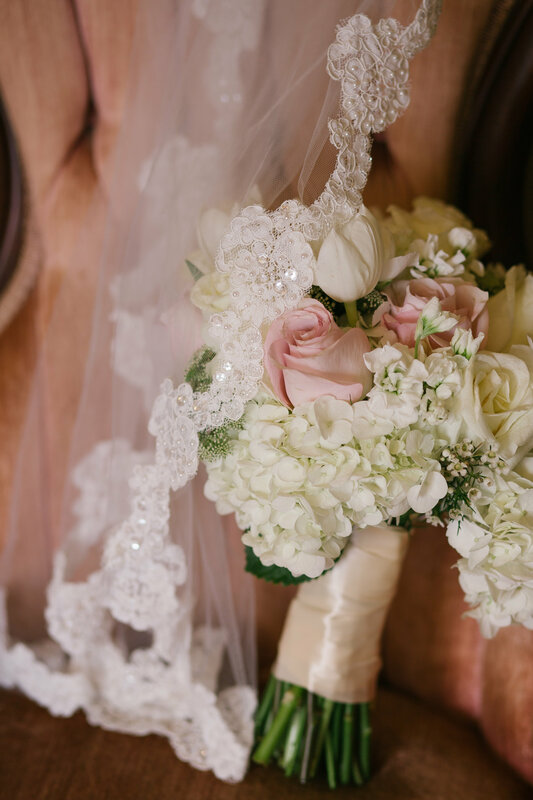 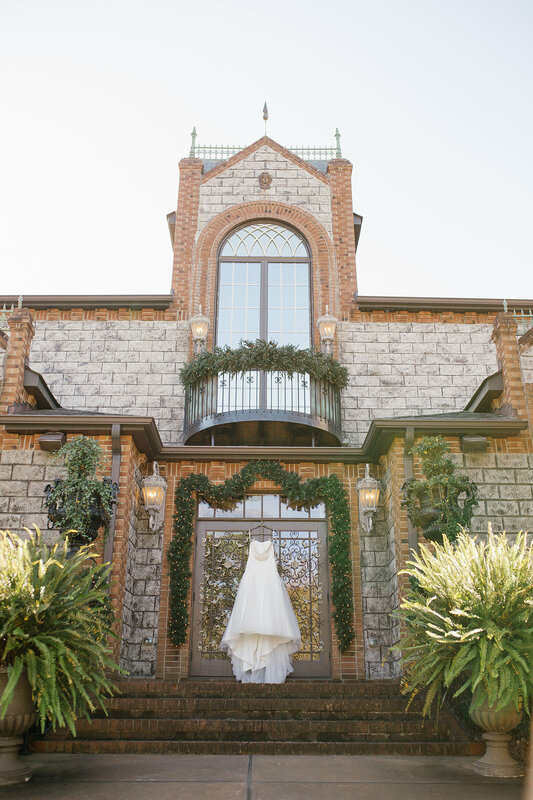 I am so excited to share with you pictures from Kelly and David’s November wedding at one of my favorite venues; Barclay Villa! 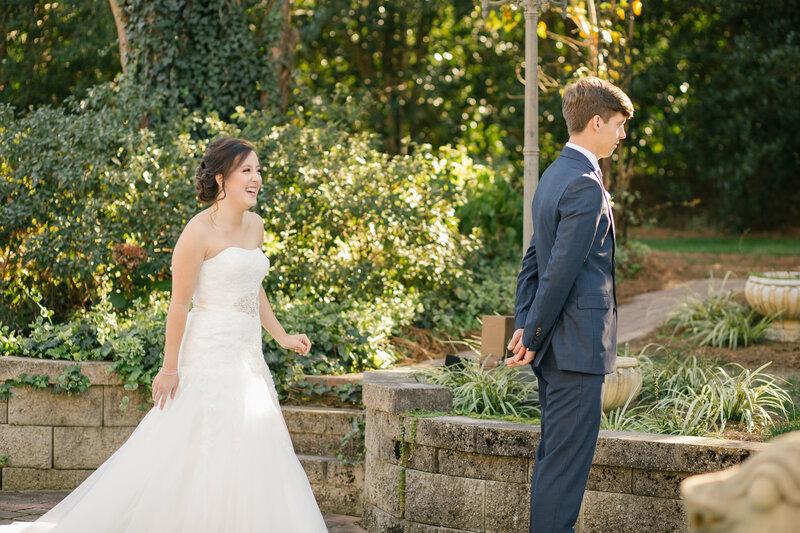 They really could not have asked for a more beautiful and perfect fall day in November. 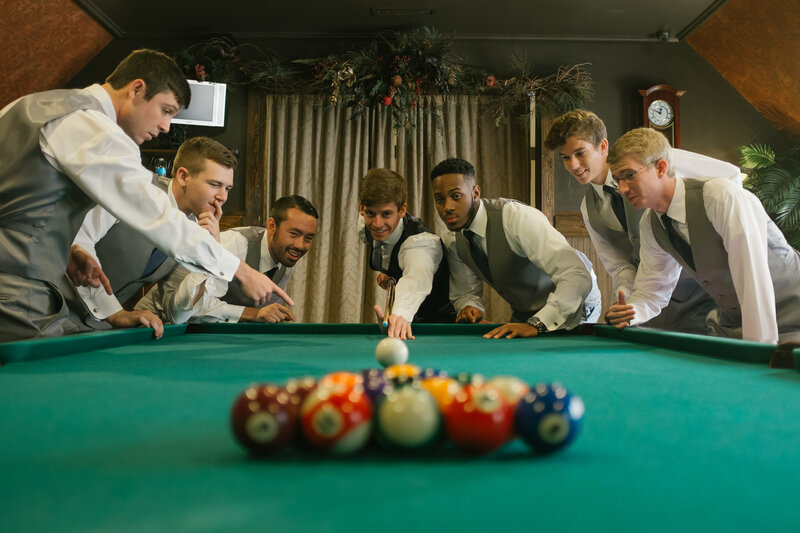 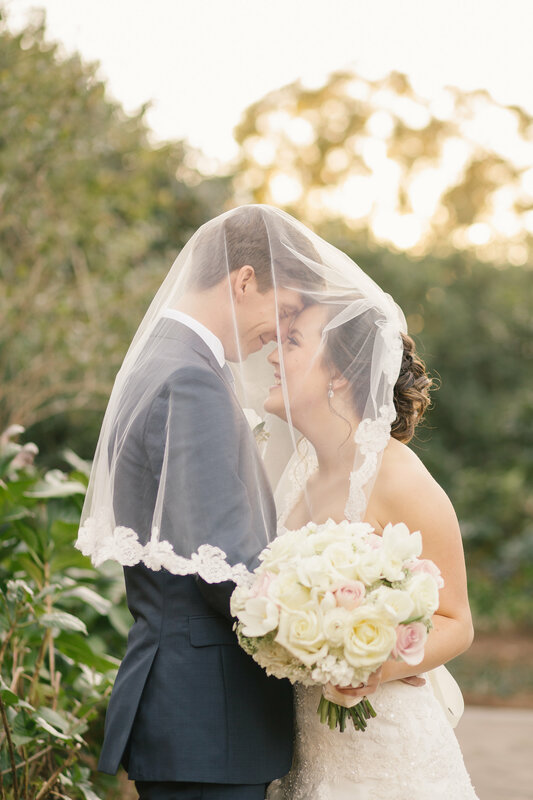 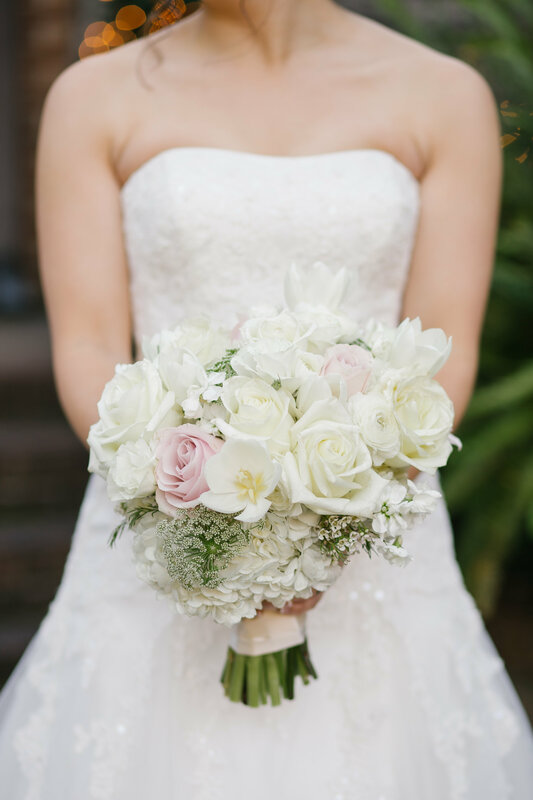 I loved working with Kelly and David at Barclay Villa in Angier, North Carolina. 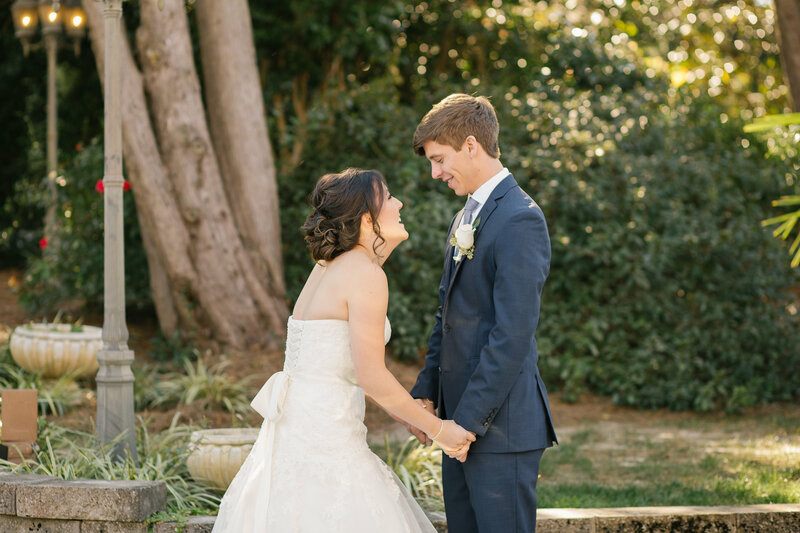 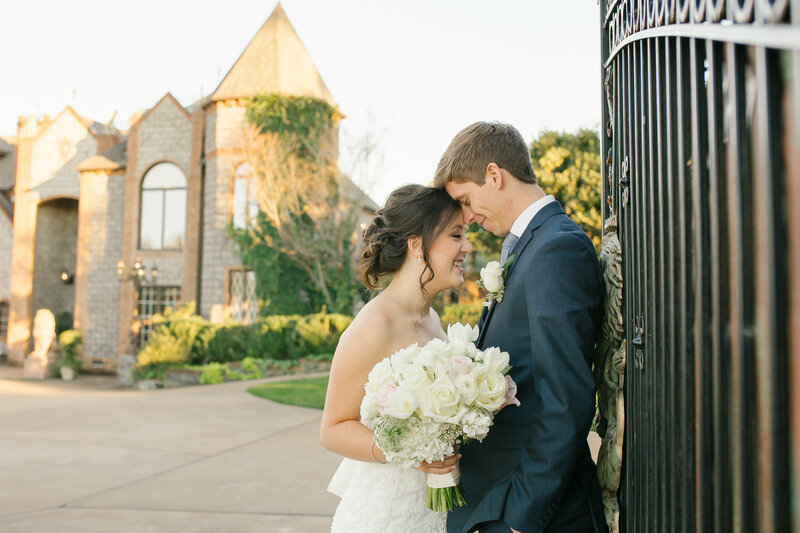 This sweet couple met while in college at UNCW; the same school that I graduated from! 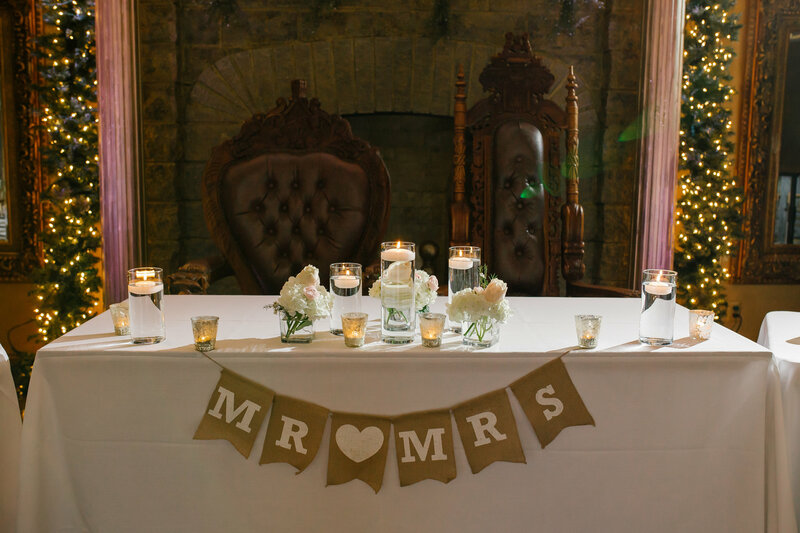 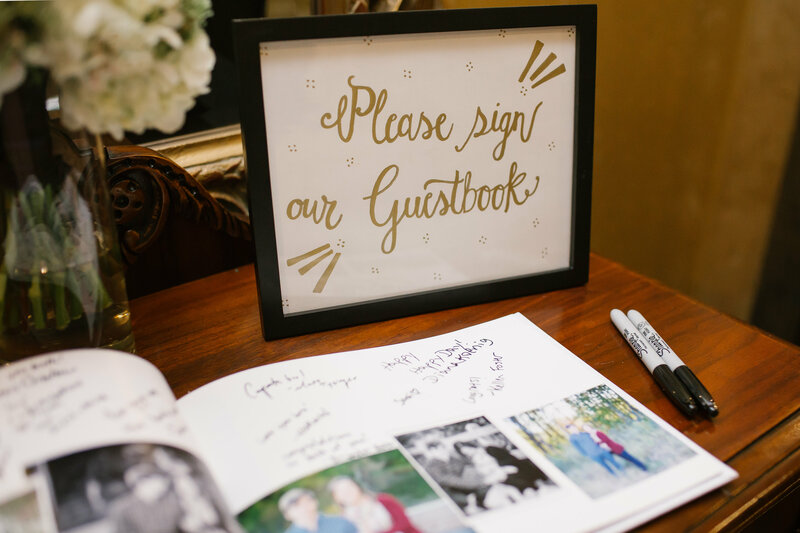 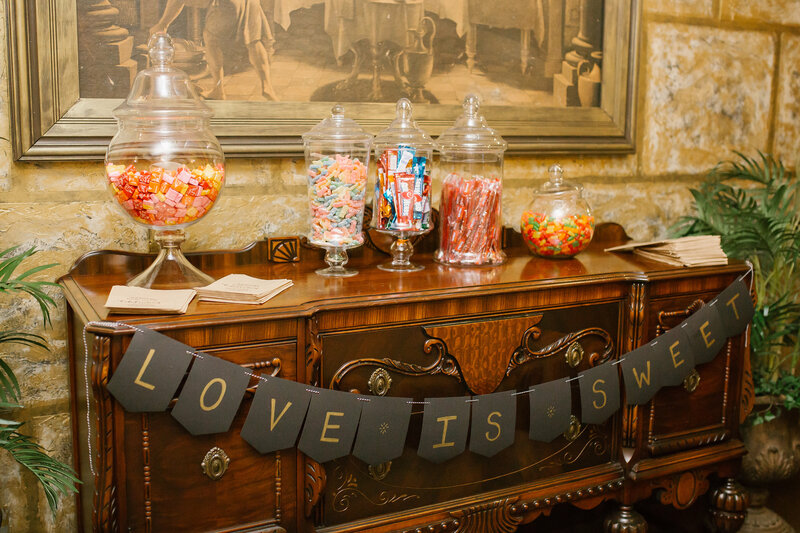 We were able to incorporate a candy bar – who doesn’t love a candy bar? 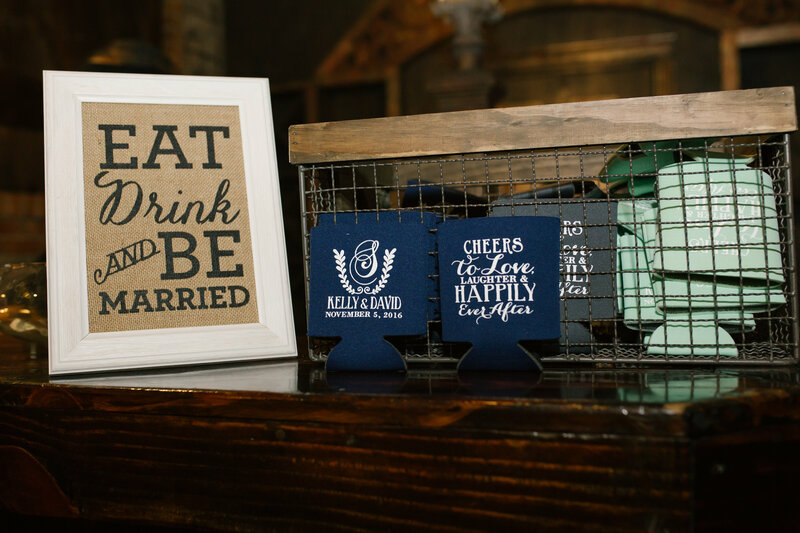 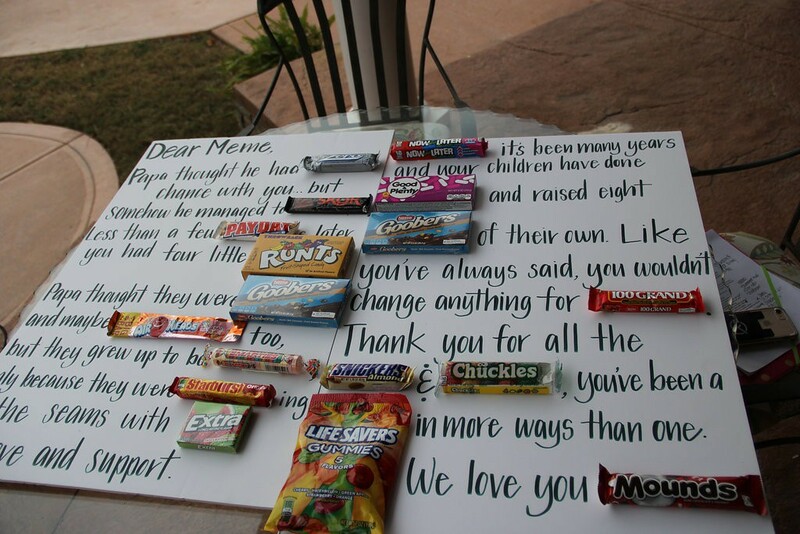 It makes the perfect party favor! 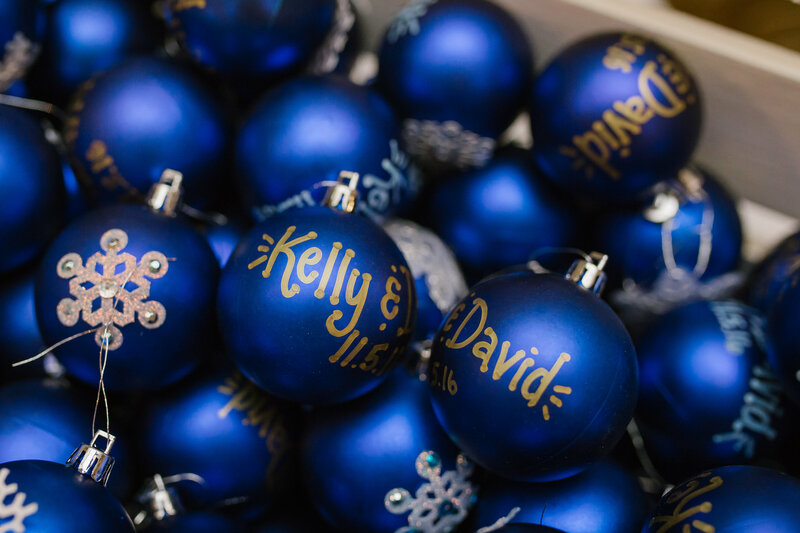 Kelly also had blue ornaments for guests to take home to remember their special night. 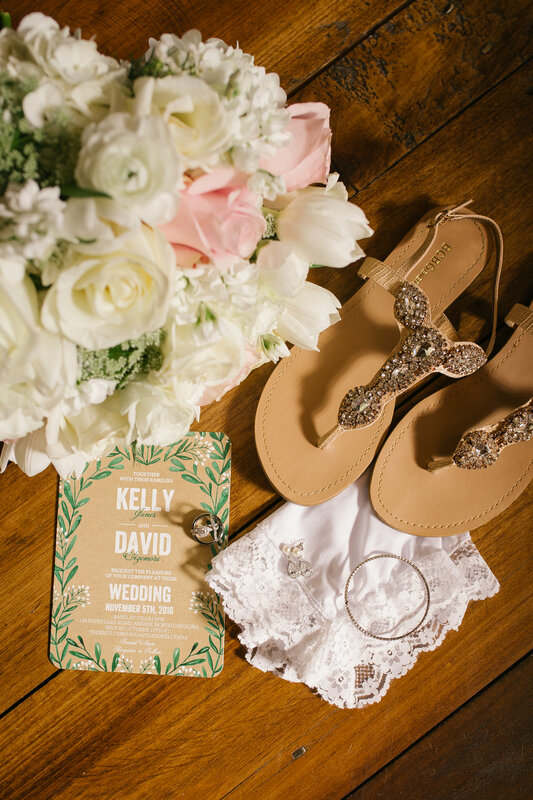 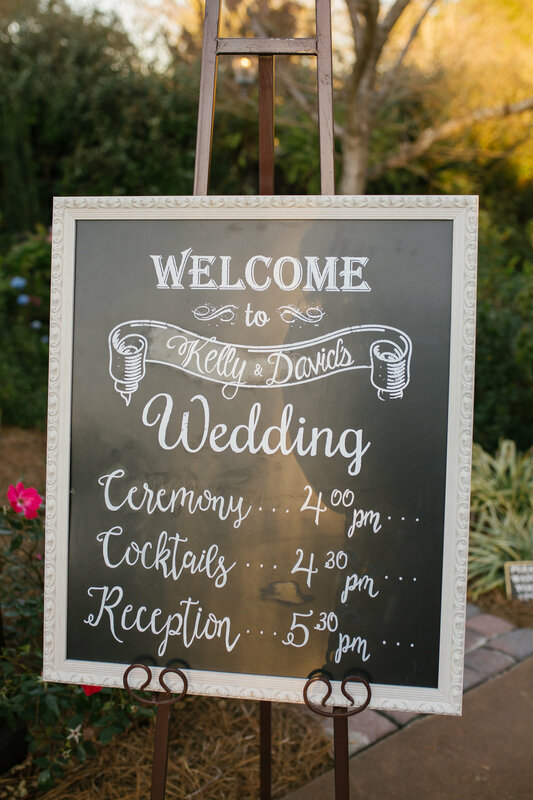 Kelly & David did a first look which is becoming a trend and the pictures are coming out so beautiful. 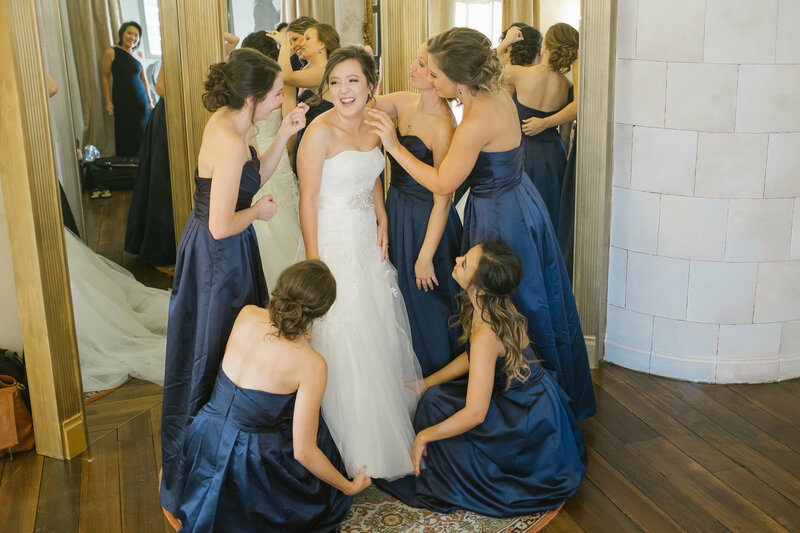 See for yourself the before and after down below! 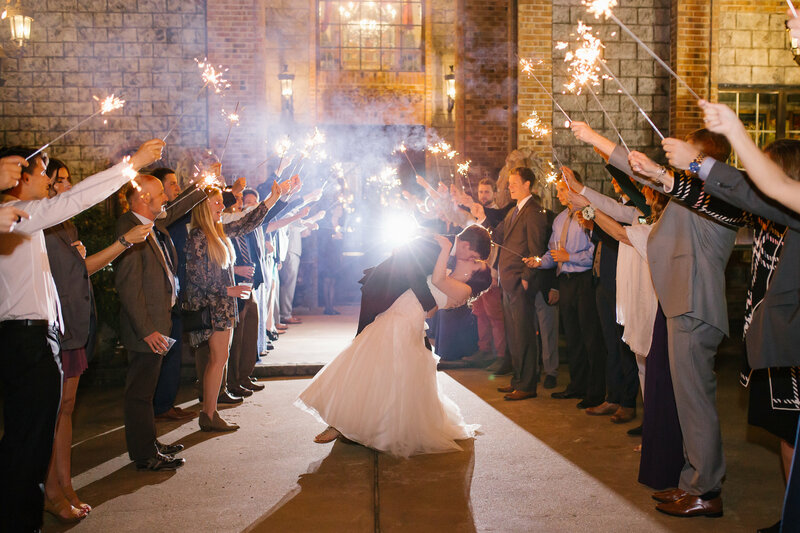 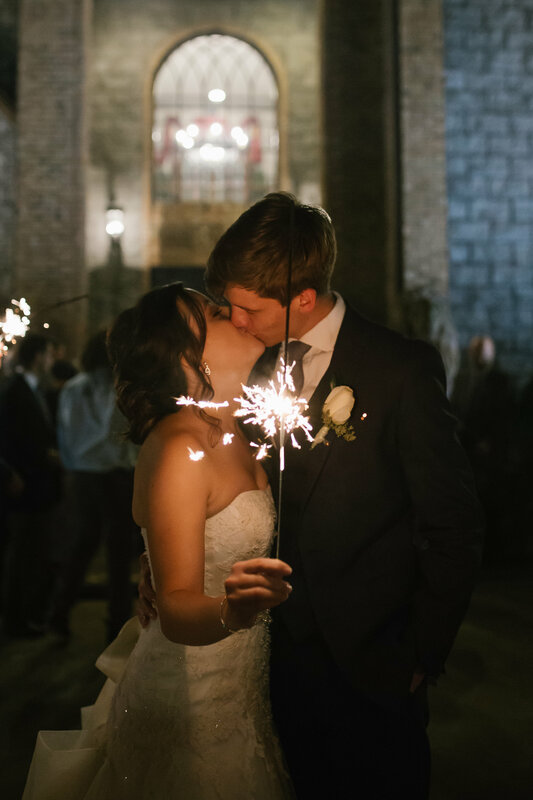 They exited with a stunning sparkler exit – what a perfect evening! 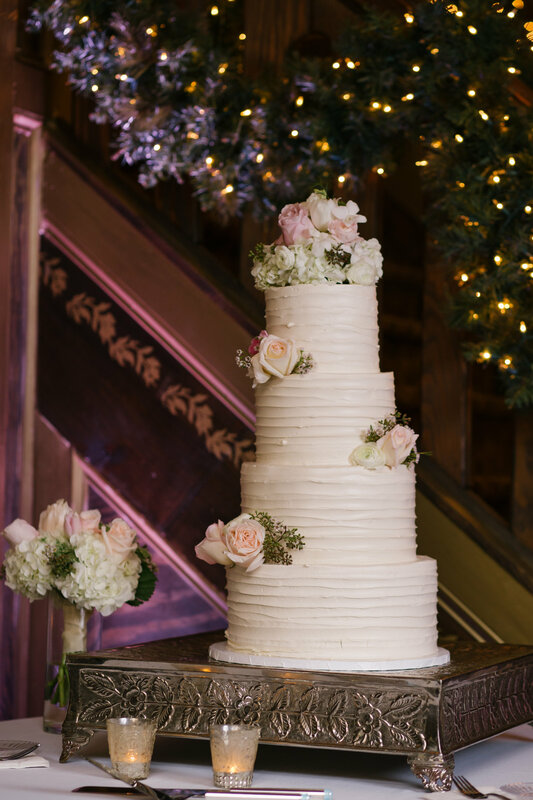 Cake: Stick Boy Bread Co.